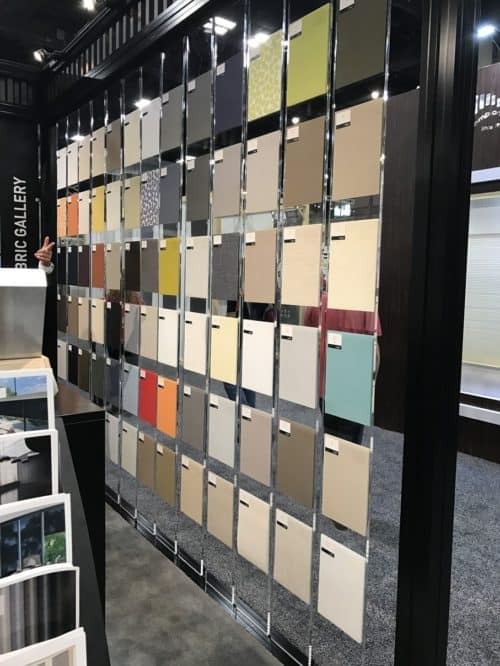 International Window Covering Expo has held this year in Charlotte so I couldn’t miss the opportunity to visit the show and learn about innovations, trends, and best practices in window coverings industry. Motorization of the window coverings is the main trend on the market. Imagine the convenience of just pressing one button and all the shades or blinds go up or down, open or close, or have it programmed that they open at 7 am and at they close 6 pm ! 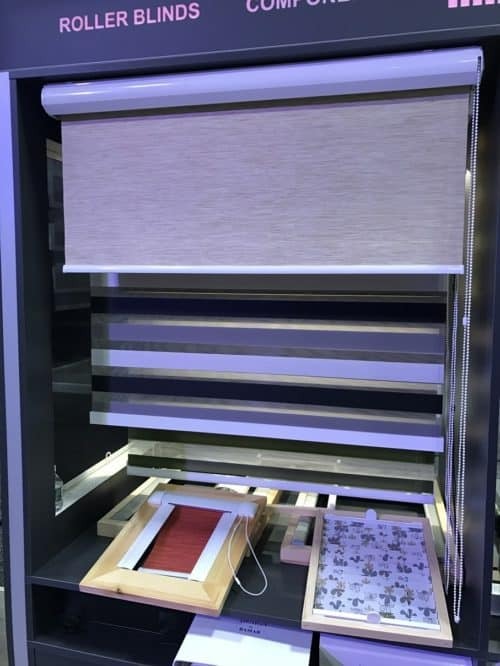 Or have a sensor on the window and when the sun hits the window your shades automatically go down to block the sun and protect your furnishings from fading. Having your window coverings motorized eliminates cords, cleaner look, right? No cords bunching up on the floor… Children in the house? No need to worry about them playing with cords… Or your pet entertaining with cords. 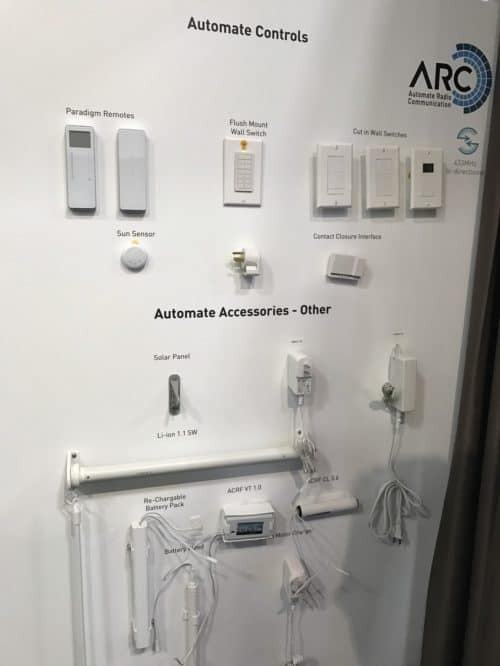 For the existing homes, there are options to use battery powered shades, blinds, and draperies tracks, as well as wall plugged-in option. If you are in the process of building a new home or remodeling existing, your coverings can be hard wired at the same time when your electrician pulls wires for your power supply – once the shade or blind is installed, there are no cords showing and you don’t have to worry about changing batteries. As for remotes, there are hand-held options and wall mounted. Not so glamorous but here are the motors designed to lift various weights depending on the shade size and power supply options. Hand held remotes or wall mounted to operate motorized window coverings. 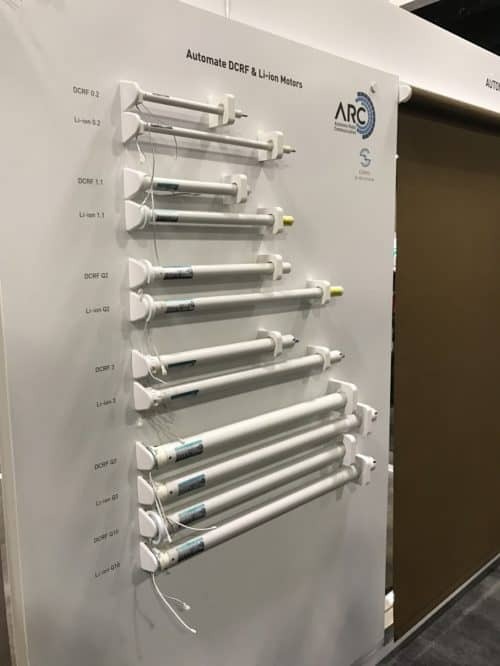 Here is cellular shade operated by a motor. Have two windows that meet in the corner? Here is a solution of having two shades operating from the same chain control. 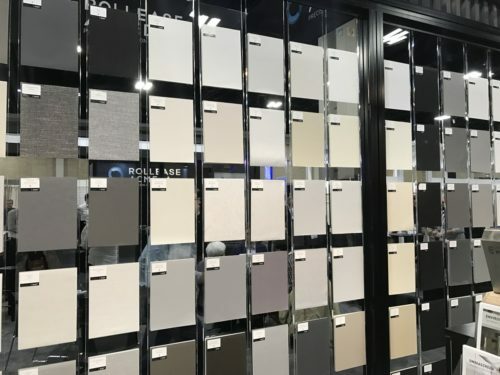 Roller shades are an ongoing trend. Natural colors and textures create pure and serene looks, while vibrant and patterned fabrics add some drama to the space. Privacy and light control are managed by the opacity of the fabric used. 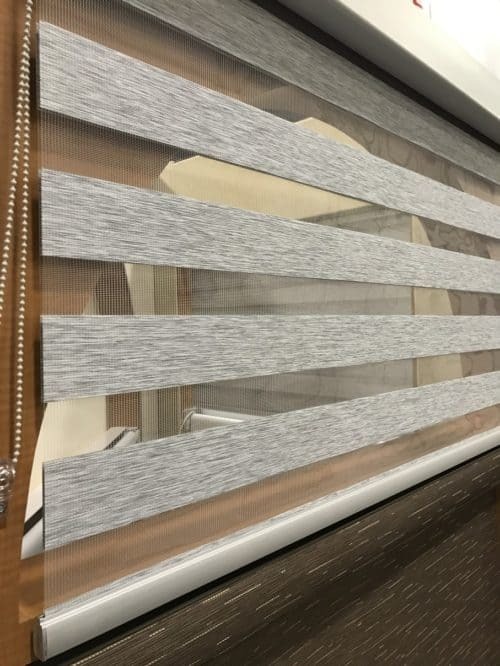 Pure look of the roller shade in a fabric with natural texture. For some staying in the neutral color scheme is a comfort zone. Warmer neutrals or cooler? There are options for either direction. What to use color on the windows? Array of colorful roller shade fabrics. “Zebra” shades. 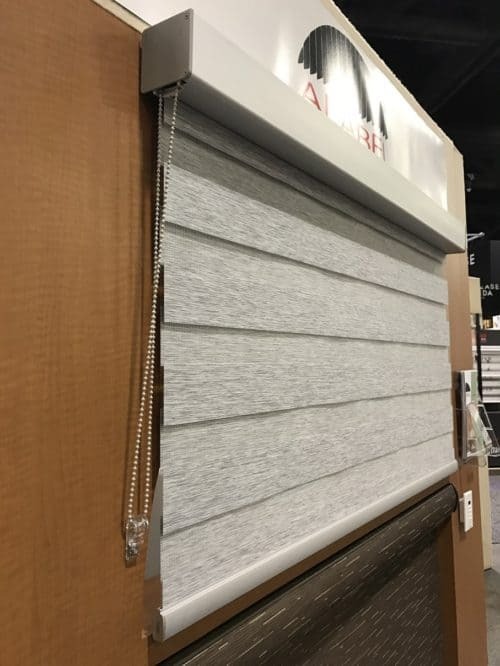 I thought it was a beautiful alternative for the wood blinds – clean, modern look that provides light and privacy control. And what an amazing choice of fabrics! All the neutral colors, modern and traditional patterns, textures that will compliment any decorating style. 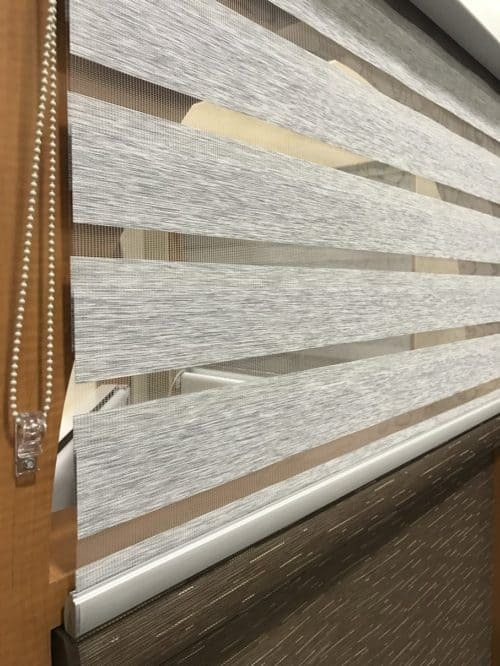 “Zebra” shade in textured fabric shown here fully closed for privacy and light control. Two layers of fabric allow to adjust the position of the stripes to open or close the view. “Zebra” shade in the fully open position. 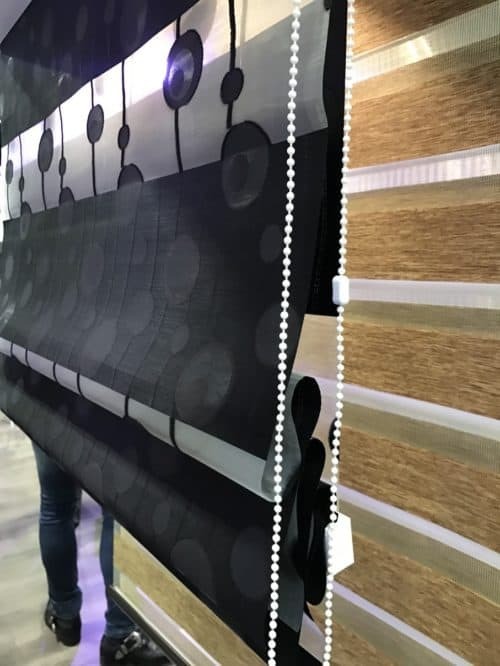 Black and white patterned fabric on this roller shade will certainly make a statement. You can adjust the position of the horizontal stripes to control light and privacy. 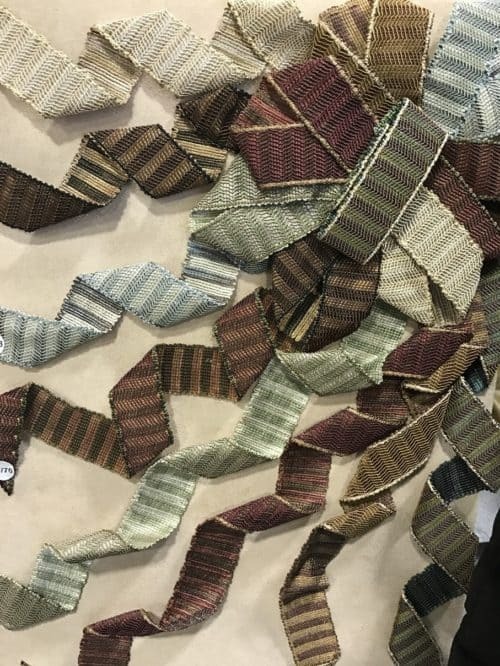 And, of course, I could not pass by the trims and ribbons which always add that special touch to any window treatment, valance or cornice, or the edge of the drapery panel. Or a pillow. Here are some collections that caught my eye. Adding ribbons to your window treatments, pillows or bedding is a perfect way to adorn your decor elements. 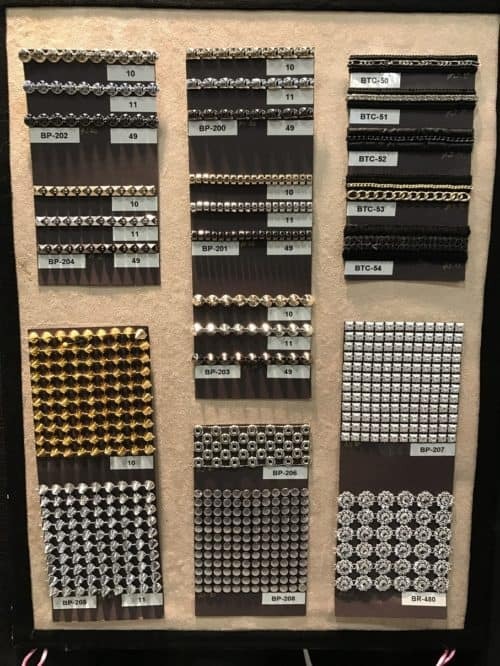 How fun are these metal studs? On a pillow or along the edge of the cornice? 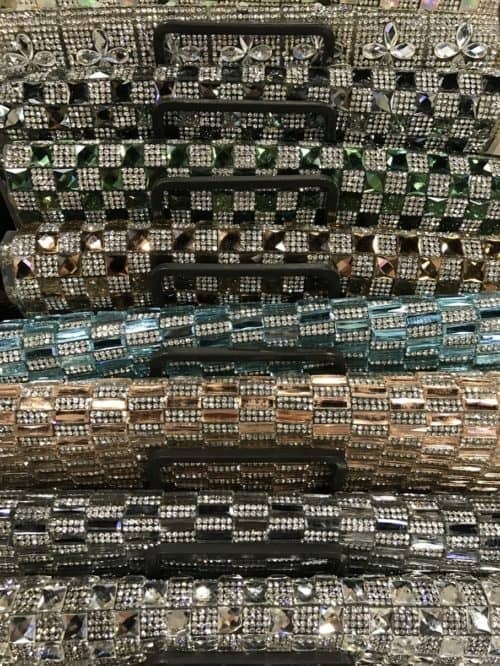 Sheets of sparkling rhinestones can be cut to custom size and applied to drapery panel or a pillow. If you haven’t noticed yet but brass is making its way back to your homes. It is warm and paired with clear finials creates a modern, clean look. Brass rod with a contemporary clear finial. And as for the fun part. Workrooms from all over the country participate in the design and execution challenge with a specific theme in mind. I though this interpretation of the “Phantom of the Opera” was very fun, creative and beautiful! 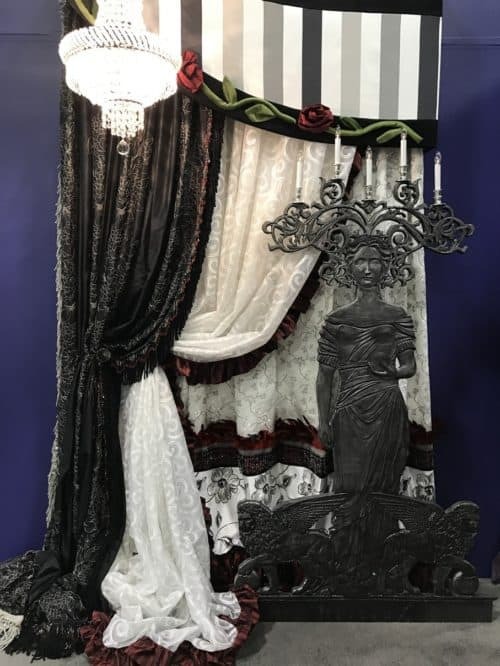 Layers of fabrics, trim, feathers, several patterns make this vignette a perfect representation of the Phantom of the Opera. 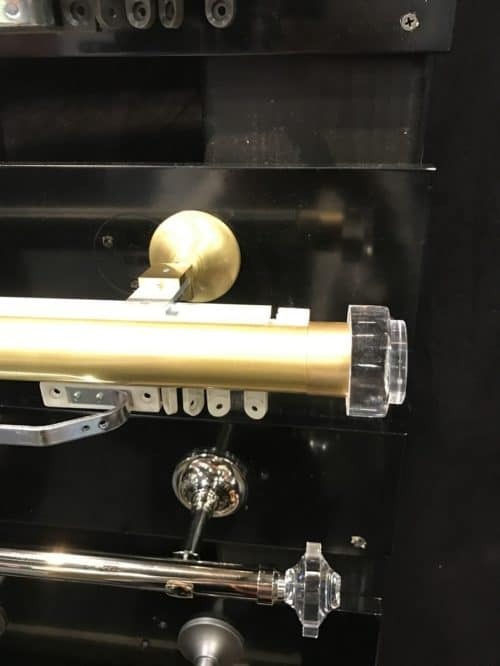 It was a lot of take in at the Expo but it was well worth to attend the show, find new suppliers, learn about motorization of the window coverings, and I am excited to include all these beautiful and functional products in your project.